Are NewsGuard Ratings of Websites the Cure for Online ‘Fake News’? In an era of what President Donald Trump and others have decried as “fake news,” an internet browser extension offers a possible solution for determining the credibility of the content of news websites and search engine results. 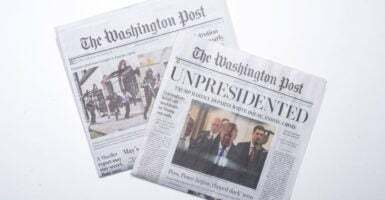 A new Gallup study, released Jan. 9, of news consumers’ views found support for the concept of access to the sort of information about those sites that NewsGuard aims to provide. Among survey respondents using NewsGuard, Gallup found that 89 percent of users of social media sites and 83 percent overall want social media sites and search engines to incorporate NewsGuard’s ratings and reviews into their news feeds and search results. News sources’ grades are based on how closely they hew to nine journalistic standards of credibility and transparency, which are displayed in what NewsGuard calls “nutrition labels” given to the sites. The browser extension for Chrome, Edge, Firefox, and Safari and used by respondents “displayed NewsGuard ratings and nutrition labels in social media such as Facebook and Twitter, in search results from Google and Bing, in news aggregators such as MSN and in products such as LinkedIn,” Gallup wrote. The criteria for rating news websites include sourcing, transparency, and accurate information. Based on these and other factors, an organization will receive a “green” or “red” rating, depending on whether a website “is trying to get it right or instead has a hidden agenda or knowingly publishes falsehoods or propaganda,” according to NewsGuard. Peter Parisi is an editor and writer for The Daily Signal.